which will download the StyleTap for Android application package to your device. Tap on the download to run the installation – if successful, a StyleTap icon will appear in your list of applications. The Windows Desktop installer listed below, is a Windows setup program that will install the StyleTap Application Installer, which can be used to install Palm applications into StyleTap on your device (after you have installed StyleTap for Android on it). 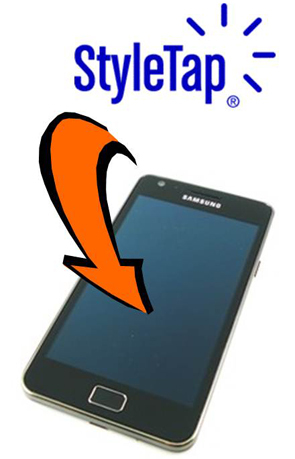 It is especially important to download and install this version of StyleTap Application Installer if you are upgrading to the Android version from the Windows Mobile version. If you installed an earlier version of StyleTap Platform, simply download the new version and install it normally. You don’t have to uninstall the old version, but your applications and data will be preserved. If you registered your previous version of StyleTap Platform, your registration key will continue to work. If you are still on a trial license – or if your trial license expired – you will automatically start a new 14-day trial license when you install the new version. Everyone should upgrade to take advantage of the new features and bug fixes. If you decided not to register when your trial period expired, why not try StyleTap Platform again? There is a good chance that your problems have been fixed!